Located at the corner of SW Murray Blvd and SW Scholls Ferry Rd, Extra Space Storage serves residents of Beaverton and Tigard. Locals will recognize our facility across from Starbucks and Walgreens. 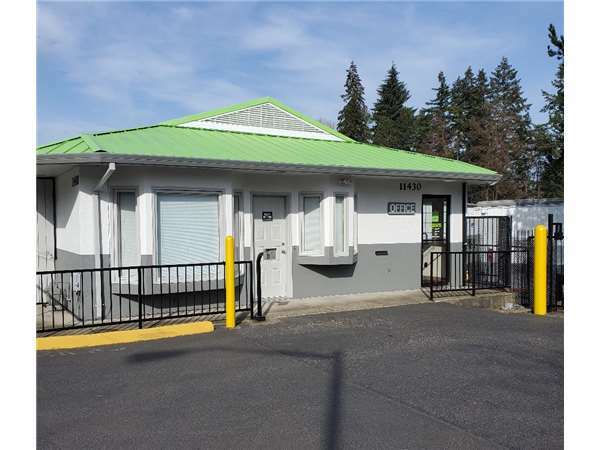 With a wide range of storage units, vehicle storage, and exceptional security, Extra Space Storage on SW Murray Blvd can accommodate residential and commercial storage needs in Beaverton! Store items large and small with ease at our Beaverton storage facility! We offers units ranging in size from 4x5 up to 12x30 with convenient features like indoor access, first-floor access, and drive-up access. Our SW Murray Blvd storage facility is equipped with security measures like an on-site resident manager, 24-hour video surveillance, and electronic gate access to keep your items safe at all times. 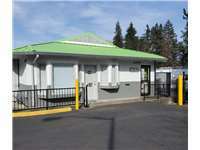 Looking for secure vehicle storage in Beaverton? Extra Space Storage has 8x20 outdoor parking spaces and 10x10 to 10x35 enclosed drive-up units that can handle everything from small motorcycles to large RVs. With a secure, clean, well-maintained facility and a friendly, professional team, it's easy to see why so many people choose Extra Space Storage! We deliver dependable self storage with exceptional service, and we work hard to make sure you're satisfied with your experience. Contact us today to reserve a storage unit in Beaverton! Staff is friendly and helpful . Location is great. Facility in general is very clean. Lack of lighting in the unit. Floor is dusty . Otherwise is a good place. Great price, great customer service, and very convenient. Everything I needed for my move. Nice and secure facility. Two thumbs up!! We tried Extra Storage as it is conveniently located for us and had good reviews. The experience has exceeded our expectations. The staff is friendly and they have provided many practical tips, particularly as we were working with movers. They were also flexible when we needed to change from the unit we reserved to a larger one, with garage-style access. We would recommend Extra Storage to anyone looking for a storage space. Office staff was great and helped me get the right unit. Prices are good and the facility is very clean. I am so glad to choose this store. Great people. Very attentive and helpful. Thanks guys ! I had a great experience renting storage with Robin and Jeri at Extra Space Storage on Murray Blvd. I spoke with both of them at separate times and felt they were genuine and concerned about my request and what size would work well. My visit to sign a contract for storage was quick, easy, and informative. I appreciated the ease and personal attention I received from Ribin and Jeri. Thank you!! The employees were very respectful, friendly, and accommodating. Great internet prices. The office staff is amazing. Super friendly and informative. I'm really happy to be renting from them. The office is open weekends, the fees are explained, there is little to no paperwork, and the site is clean and secure. The employees at the location I rent are helpful. Facilities easy to find and all staff very helpful all through the process. Easy access, very clean, cool, plenty of light, unit was clean and ready for my items to be transferred immedately. The On-Site staff puts 110% into their jobs! Very awesome team!! The people here are very friendly and helpful when it came time for picking a storage unit for me. The folks at ESS Beaverton are beyond awesome. They were flexible and attentive. We moved our family from Colorado to Beaverton due to work change and these guys made the move that much less of a hassle. The unit was clean and neat, the facility was secure, and easy to access. The staff was always able to help or answer any and all questions we had. From signing in to checking out, the experience was top notch all the way. These folks should be used as a training template of what customer service, excellence, pride, and success looks like. We are getting our house ready to sell -- which means we needed to get rid of a bunch of clutter. Yikes. The staff at the Extra Space Storage facility was helpful, patient and knowledgeable. They showed me different units, carefully explained the procedures and helped me find the best deal. Without hesitation, I recommend Extra Space Storage! I had a great experience from the moment I met Robyn and Jeri. They helped find the right sized space and the most affordable way to rent it. The facility was always clean and easy to access. The next time I need to rent I will definitely be back. We needed a place to store additional furniture and keepsakes for a year or two. This facility fit our needs. First off from the beginning the people that live on site have been awesome! The facility is always clean, lit up, and have the carts where belong. I've been renting from these folks for years now. I've referred my family and friends to them and they have all been happy. I've never had an issue with security or cleanliness. I've had three different sizes of units and have been happy with all of them. It's climate controlled and very well set-up. I was very impressed with the ease of finding and choosing a unit on the ExtraSpace Storage website. There are informative videos to help you decide which unit suits your needs best. The ability to pay online is another bonus! I am very happy to have found ExtraSpace Storage for my storage needs! I have been to this storage facility before and when i was looking for storage again I did not hesitate to come back. I did call a few other places first and some were lower in cost but i chose to come back here because the people here are easy to work with. They have always been very kind and help me. Any questions i had they didn't hesitate to answer them. Last time i was here i needed some boxes and while i was paying for them they brought the boxes to my car for me. It was very sweet. They are always going above and beyond to make sure their customers are satisfied. If anyone is looking for a storage facility I always recommend this one! The managers at this facility are the reason I don't look for a lower priced facility, however, I was very happy with the online deal I was able to secure in September. Your facility has easy access for us and is meeting our needs. This Extra Space Storage is very conveniently located, and the owners couldn't be nicer folks. Would highly recommend this storage facility to friends and/or family! This place is great. Staff have all been exceptionally helpful. Place is clean and secure. I would highly recommend this place to anyone needing a convenient place to store things. I just signed on for the new unit for my storage. But I’ve already received the great services from the manager of the station. Thanks a lot. The Staff for the beaverton Extra Space storage are very helpful. When getting out unit they walk us throu where it would be what emails we could expect to see for billing and how to get it and out of the complex. I could not have asked for a better experince. I would Highly reccomend renting for them for service and convience. Working with the staff is positive and the facility is very clean and neat. The only issue is inadequate lighting. I couldn't be more pleased with this facility. They have a large selection of sizes. It is very clean, even the restroom. Access in and out was easy, even with the 24ft truck I rented to get my stuff moved in. The security code gate entrance was a big plus. The staff is super-friendly and accommodating. The price was very competitive. I highly recommend this storage facility. If the need arises again, I will not look anywhere else. Never has been a problem to get things done. Phone is answered right away. Products available for moving. Price is okay. Not having any complaints. The management team at our location (Murray x Scholls Ferry) is top notch. They are professional, friendly, hardworking, conscientious and kind. The property is immaculate from the office to the grounds to the restrooms. Staff are always available and happy to answer questions and proactively address concerns. Attention to safety is well attended to, whether it be the security of the storage unit or personal safety while on the property. We have had several storage units, and this one is the absolute best! I attribute this to our highly responsive management team. Jerry and Robin are the best. They are very nice people to deal with and it is obvious that they take pride in their work. A very well maintained facility and I always feel safe there. The location is ALWAYS VERY CLEAN and I feel safe to be there anytime of day or night. They have always gone above and beyond to make sure that my space and my needs are taken care of and well met. I truly can not say enough about what a wonderful experience it has been for me to use this Storage Facility. Unfortunately, I have found that your rental fees are considerably higher than other spaces in my area....Literally, it is the management of the Murray Blvd location and the outstanding Customer Service that keep me here. The staff Jerry and Robin are always friendly and helpful. We moved from a house into a condo so we downsized a lot. There was just some stuff we couldn't get rid of (Christmas stuff, antique bed frames, etc.) so Extra Space Storage was perfect for us. It's a little far away from where we live but that just forces us to make necessary trips out there rather than going out there all the time. I bill the rent to my Amex and the billing happens like clockwork. I always get an email notice of the transaction. ESS gets an A-plus from us! Drive south on SW Murray Blvd. Our facility will be on your left just after SW Scholls Ferry Rd. Drive northwest on SW Walnut St. Continue onto SW Murray Blvd. Our facility will be on your right just before SW Scholls Ferry Rd. Drive southwest on SW Scholls Ferry Rd. Turn left onto SW Murray Blvd. Our facility will be immediately on your left. Drive northeast on SW Scholls Ferry Rd. Turn right onto SW Murray Blvd. Our facility will be immediately on your left.